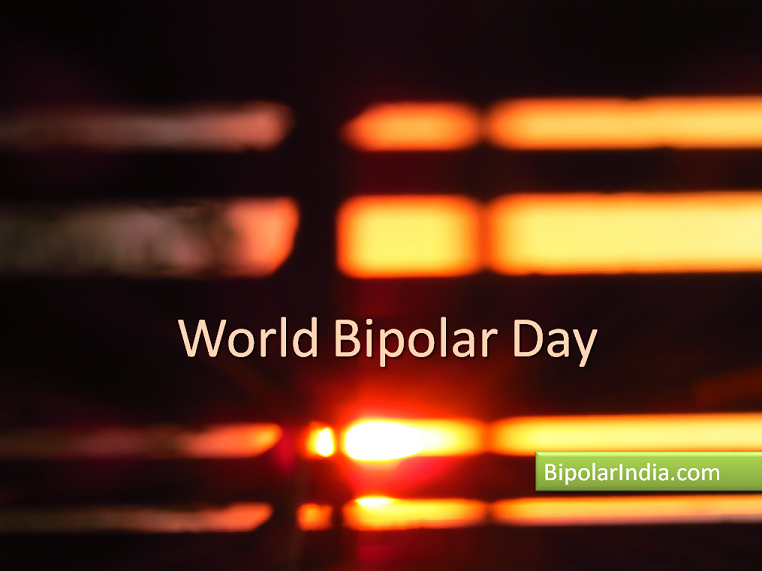 There’s a reason why this particular day has been chosen to mark World Bipolar Day every year. It happens to be the birthday of the great painter Vincent Van Gogh who was posthumously suspected of suffering from Bipolar Disorder. Many creative geniuses from down the ages have been suspected/confirmed bipolars. Among them Vivien Leigh, Carrie Fisher, Van Damme, Virginia Woolf, Catherine Zeta Jones and the most recent tragedy that shook the world, of Robin Williams’ untimely death. Besides these, through history there have been musicians, artists, writers and actors who have exhibited symptoms of Bipolar, such as Beethoven, Winston Churchill and Mark Twain. It is as good a time as any for an India Scan of the ground reality on this count. 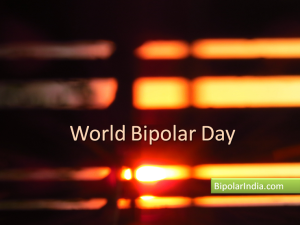 The prevalence of Bipolar in India is estimated to be at a low 0.1% as compared to a global 2.5% of general population. The number of persons afflicted in India ranges from 1.2 to 1.5 million. A combination of low reporting, stigma and incorrect diagnosis possibly contributes to undependable statistics. The actual bipolar population is a grey area in India (as it could be in many developing/under-developed countries as well). Given the massive numbers, is quality treatment available across the length and breadth of the country? If so is it affordable? Fact: There are just 7000 psychiatrists practicing in a nation of nearly 1.3 Billion! Assuming a higher concentration in urban/semi urban areas, the vast swathes of rural India are left with little or no mental health care. Financial ability (rather, the lack of it), is a barrier. Conditions such as Bipolar Disorder, chronic depression and Schizophrenia require treatment over a long period of time, if not indefinitely. In addition to psychiatric advice and prescribed medication, counseling is an important component of managing the condition. Most would find these costs beyond their reach. To add to this predicament, health insurance companies do not cover mental illness treatment costs. The foremost factor in treatment is diagnosis- the earlier the better. Even in the developed world misdiagnosis is reported. When it is difficult for a competent psychiatrist to diagnose the condition right away, would one blame the hapless family physician, who is the first source of help? Not difficult to understand why. Bipolar is quite often misdiagnosed as depression, ADHD or Schizophrenia. Let’s assume the diagnosis happens quickly enough and this prevents extensive damage to the patient’s psyche, morale, relationships and finance. Even though I live in India’s business capital, I wasn’t this lucky. Thus the likelihood of early diagnosis in smaller towns is as remote as the towns themselves are. Even if diagnosed by a physician and advised to see a psychiatrist, how many are really likely to comply? Visiting a psychiatrist is a daunting experience because of the stigma attached to mental illness. This is where mindsets and stigma prevent recovery even if the afflicted has the financial wherewithal to seek quality treatment. This fear of being ‘exposed’ or ‘labeled’ knows no class barriers. A few bipolars have been brave enough to speak up, but their numbers are a handful. The stigma is so stifling that where Bipolar Disorder or any other mental health issues are concerned, confiding in even extended family is rare. Friends or colleagues are off limit, unless one is brave. Isolation from society and fears of job loss are the prime reasons for not stepping into the open. Of course, he meant to protect my own interest. This is the stark truth: sane or insane. Many developed countries have well knit peer support communities of patients/social workers interacting with health providers such as psychologists who encourage patients to participate in group therapy sessions. These are highly effective from what my interactions suggest. There is a need for peer support groups on a large scale to take awareness (and the recovery process) rapidly forward. Nothing is more comforting for those in despair than meeting peers in person, opening up about problems in privacy and exchanging experiences fearlessly. We at Bipolar India have plans to organise such meets. Watch this site for exciting developments in this direction.